Do you have the right stuff in your career? 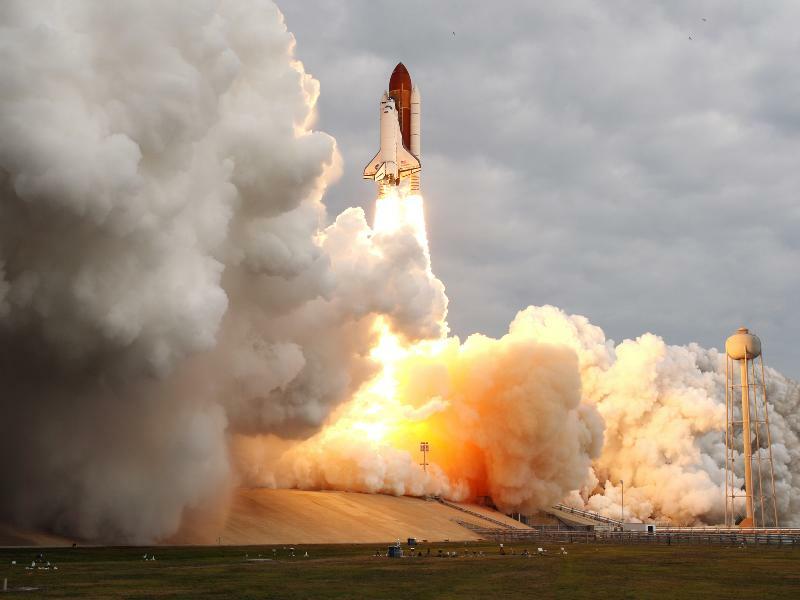 As I watched the Space Shuttle Endeavour blast off for the last time ever on a Monday in May 2011, I was inspired (Endeavour is the program’s 2nd to last shuttle launch ever – Atlantis embarked on its final mission June 28th, 2011.) Growing up, the universe has fascinated me. Even now as an adult, I’m truly astounded at just how enormous space really is. I have good memories and some horrifying ones as a child watching the shuttle launches. I always wanted to be an astronaut, but in 1986, Challenger made it very clear that this was a potentially dangerous profession. At that very moment, I knew that I wanted to help people succeed. Rather than becoming an astronaut, I wanted to help others pursue their dreams. That was now my dream. It’s all about communication. In any job, communication is a key to your success. When you’re being catapulted through the atmosphere at 13,000MPH with over a million pounds of fuel, it’s even more important. Treat every situation like that. Think: How can I communicate more effectively to help others, as well as myself, succeed? Everyone needs a backup plan. While watching the shuttle launch, NASA TV also broadcasted the mission control communication to the shuttle commander. Being prepared for your career also means that you should have a backup plan. At several points during the launch, mission control announced several checkpoints (points of return/no return) so that the astronauts were aware of their contingency plan at all times. In your career, have a backup plan. Have a plan just in case things don’t work out the way you envisioned them. That backup plan may come in handy someday, helping you bounce back. Support systems are crucial. Do you have a good support system? Surrounding yourself with the right people (friends, family, co-workers) can really help you succeed in your career. Treat the support system like an astronaut would. Their support systems include a healthy supply of oxygen, food, water and tools to do their job effectively. Your support system should be just as crucial to your success. I end with the support systems topic because I have an excellent FREE resource available to you as you embark on your journey. It’s all about the interview. I had the chance to sit down with Marty McDonald, Recruitment Consultant & Career Coach, a couple of months ago to put together a great e-book, Don’t Be Scared…Be Prepared: Interview Tips & Stories from Top Industry Experts. In Marty’s own words: “The purpose of this project is to help the job seeker feel comfortable at an interview or to pick up one new idea or tip to help them land the job. I am so excited that so many great people wanted to help out with the book, Our contributors aren’t just on Social Media pretending to be experts, they’ve conducted hundreds, if not thousands of interviews, coached just as many job seekers, and are successful doing it. Click here to download your FREE copy of the e-book. I am honored to be part of such a great group or professionals in this resource to help you succeed! So, do you have the right stuff? I’ll leave you with one final quotes from James (“Jim”) A. Lovell, commander of the Apollo 13 mission and perhaps one of the most famous astronauts of all time. Now, go out there and make it happen! As always, thanks for reading.